Date of Construction 1919 - 1920 AD. Phra Tamnak Mekharuchi (Mekhalaruchi Pavilion) is a small build, originally Called “Phra Tamnak Udomwanaphon”. 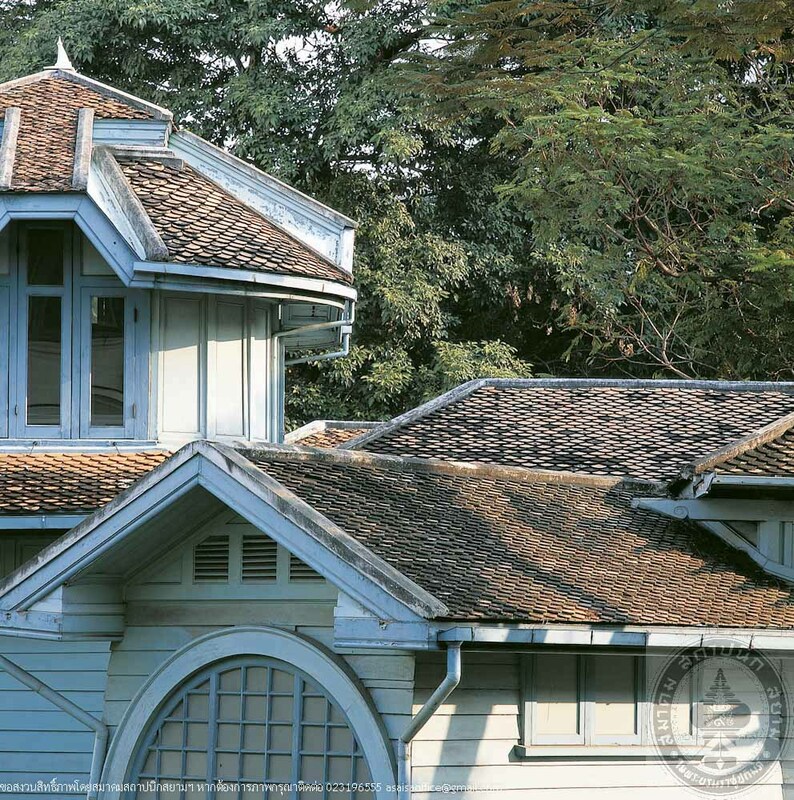 It is part of the Phayathai Palace compound, which was founded in King Rama V’s reign. Later King Rama VI had new halls and pavilions built including Phra Tamnak Udomwanaphon pavilion as “Phra Tamnak Mekhalaruchi”. 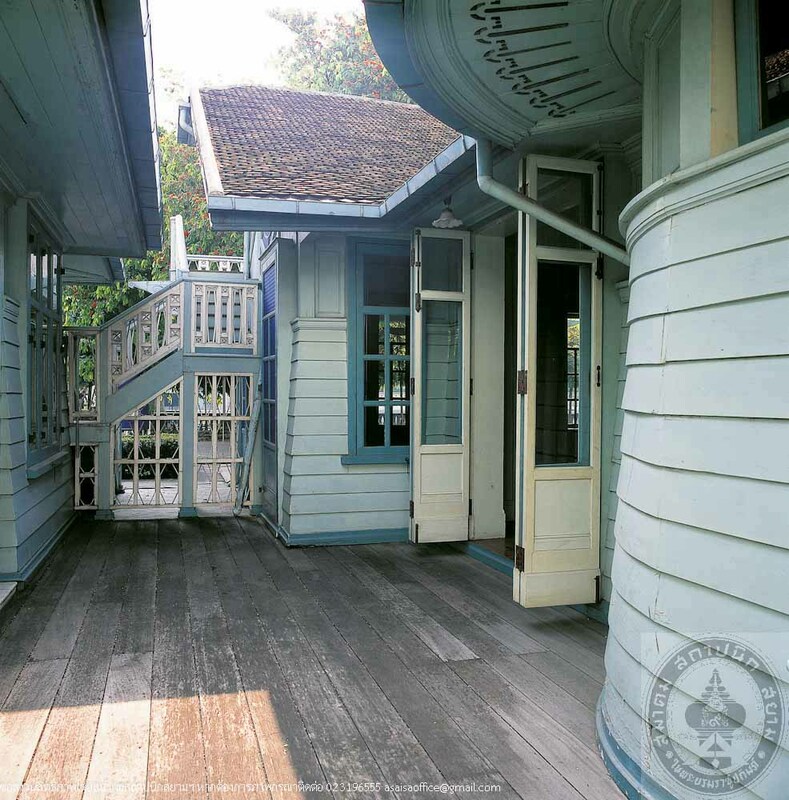 The pavilion is two-storey, built of teakwood. Columns, beams and foundations are ferro-concrete. Roofing material is terracotta tiles. The plan comprises several rectangular and oval shaped, which resulted in a multi-form of roofs, for instance, for instance, hip, lean-to, and dome which are ingeniously integrated into a beautiful and extraordinary Romantic architecture. There is a deck in the middle part which enables good ventilation suitable for the climate. 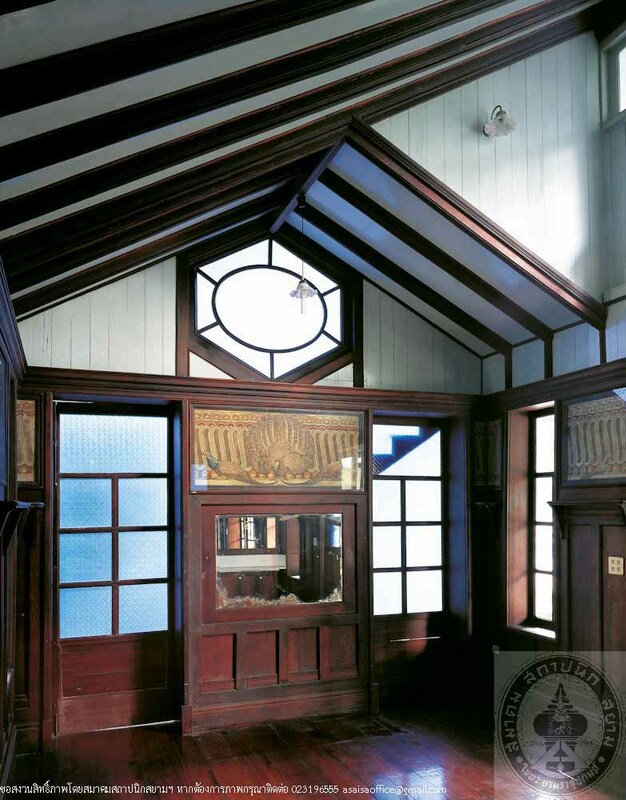 The pavilion is also beautifully decorated with satined glass. Major restoration was carried out during 1994-1995. 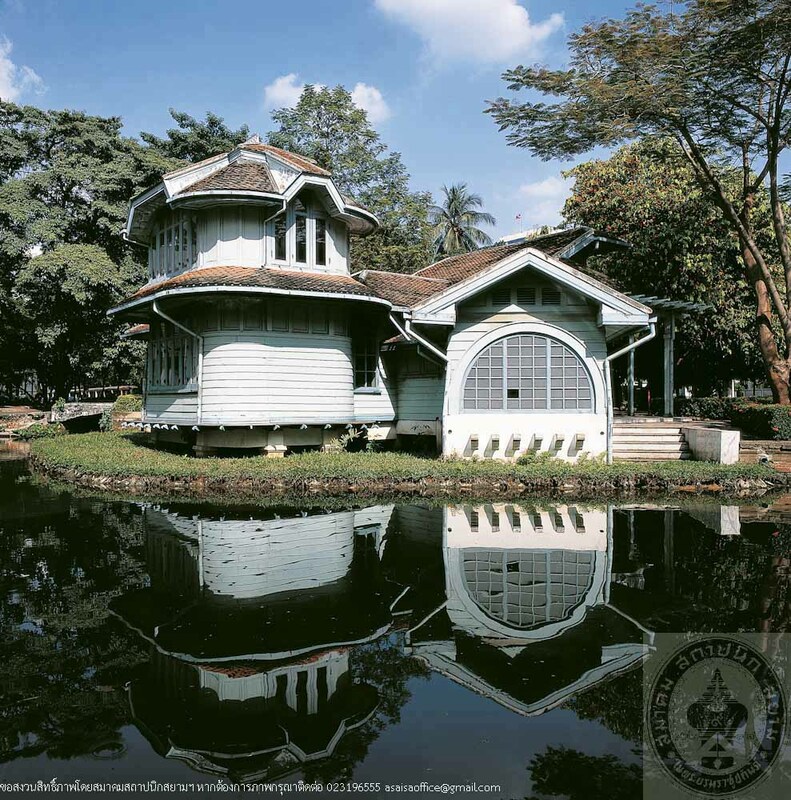 At present, the pavilion is used as Phayathai Palce Dance and Music Club, patronized by Pramongkutklao Hospital.